When we were newly married, we lived on a farm to help be caretakers for the land and the elderly brother and sister. One day, I stepped out of the shower and went to my bedroom to get dressed. I had this overwhelming sense that I was being watched. I looked up and saw twenty deer in our apple orchard. It was a divine appointment in my book. 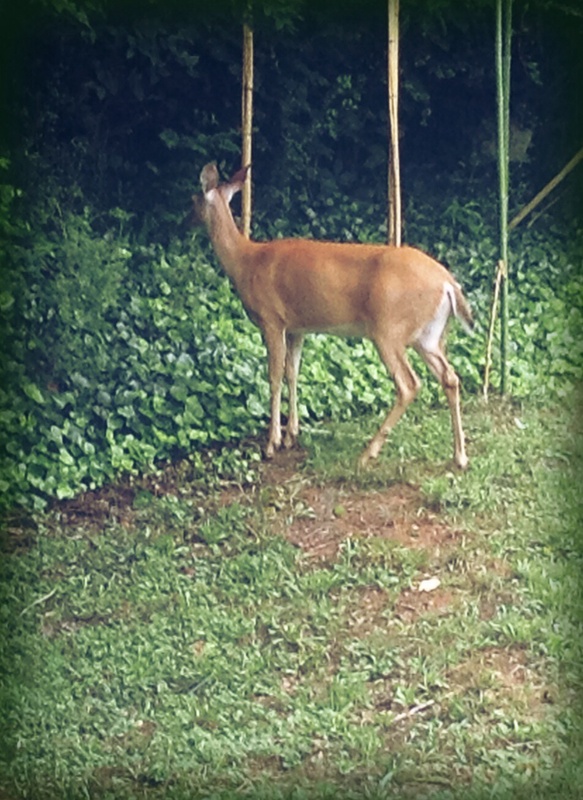 I sat there and communed with God’s creatures humbly amazed by their beauty. Yes! Those breaks keep me going. 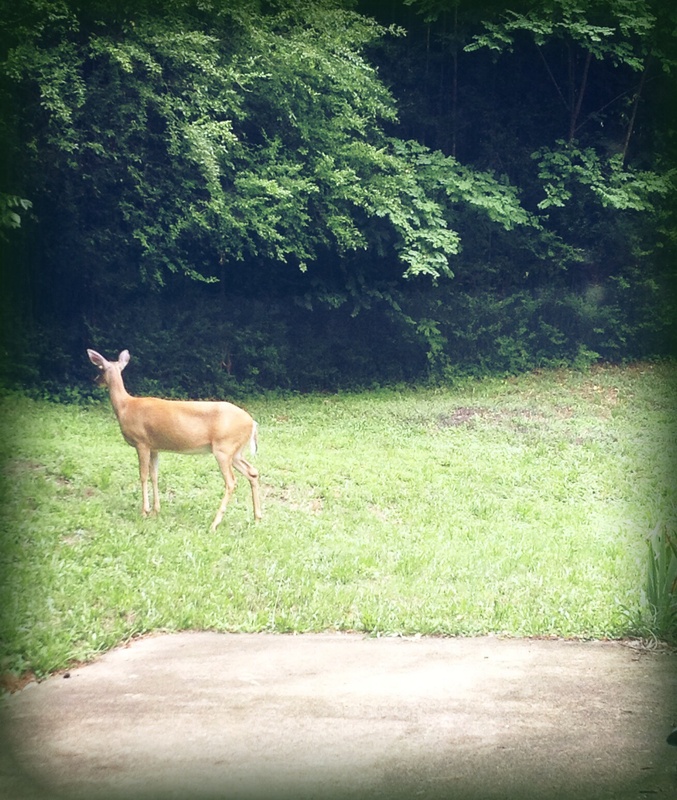 Well, i love your photos as always — but I’d like deer better if they wouldn’t eat my day lilies, and my rose bush, and my blueberries, and…that’s just at our city house! Yes, I know they have to eat, but we leave our field grass high, just for them! I do love to look at them though. Oh, no! I’ve heard about deer eating all kinds of things like that… I used to think only goats did that. Isn’t she beautiful?! 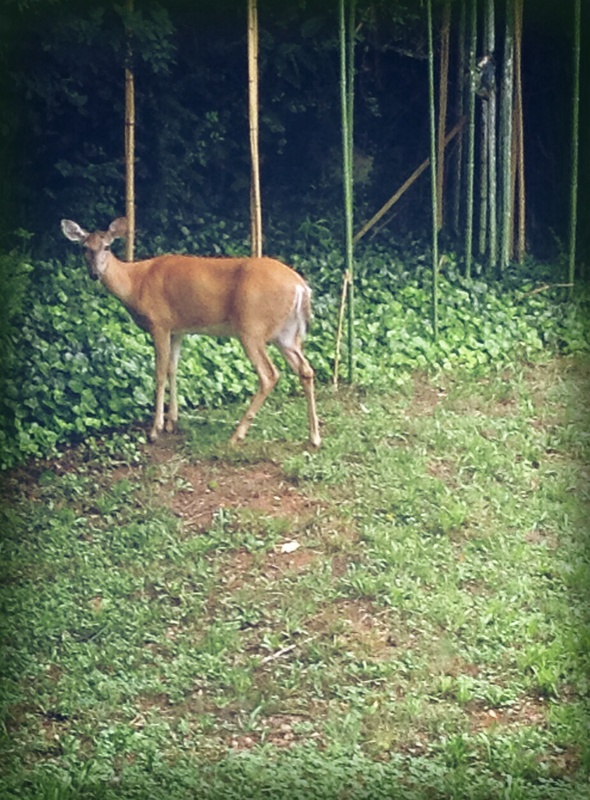 I never get tired of seeing them near our house, or the racoons, or the foxes . . .
Beautiful little vignette– thanks for letting us share it. We love a couple hours from the nearest deer. I can’t imagine finding one in the yard!